Campus Equity Week, sponsored by the AAUP, draws attention to the inequities of the two-tier faculty system on campuses across North America. The vast majority of faculty nationally now hold insecure part- and full-time non-tenure-track positions, subject to exploitative employment conditions. To draw attention to their diminished working conditions and students’ consequently diminished learning conditions, AAUP members at Front Range and Red Rocks Community Colleges observed Campus Equity Week October 27 – 31, 2015. 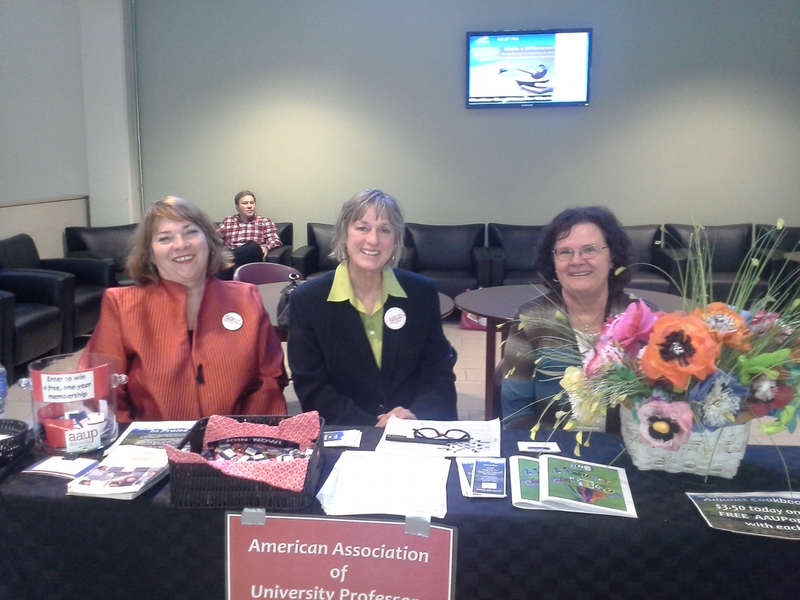 Caprice Lawless, Suzanne Hudson, and Sue Loves distribute flu shot vouchers, health care packets, and AAUP membership information at Front Range Community College. 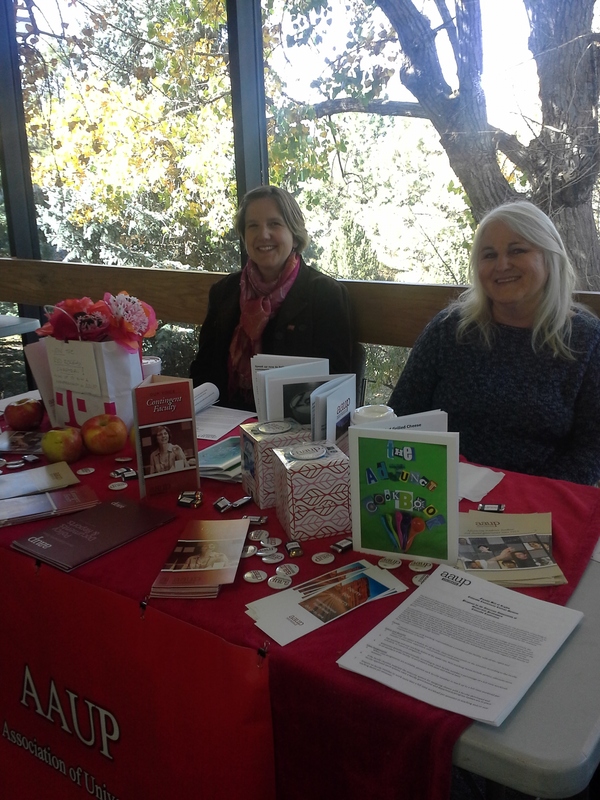 Natasha McConnachie and Anne Emmons display the benefits of AAUP membership during Campus Equity Week at Red Rocks Community College.